This entry is about John Scott and his business ventures. He was known as “Old True Blue” Scott after a washing blue, which made him a fortune, but he also sold ink, watercolors and magic lanterns. The latter were used in Sans Pareil performances. 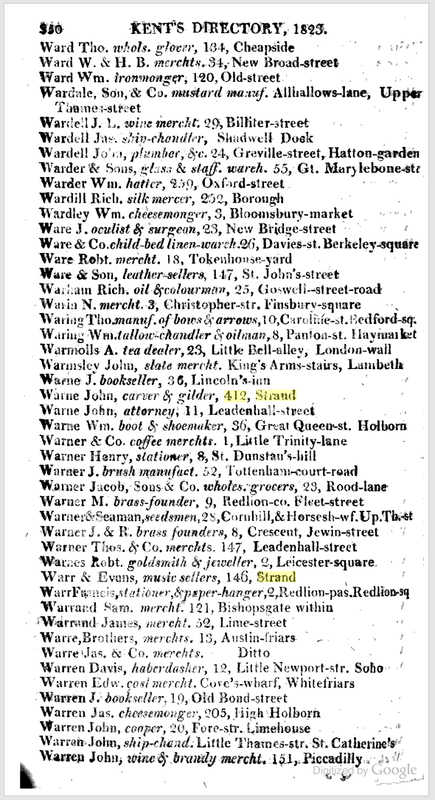 There are also guides to businesses in the Strand. Figure 16 Ink bottles, London, 1780–1820. Salt-glazed stoneware. H. of tallest: 3 1/2". 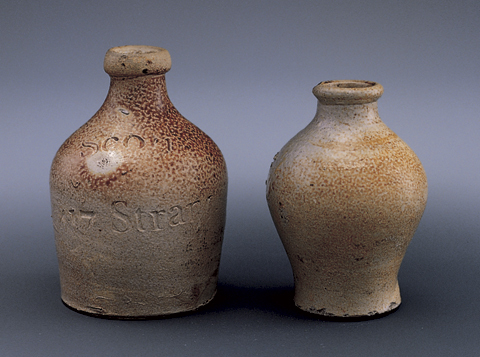 These small bottles contained ink or pigments. 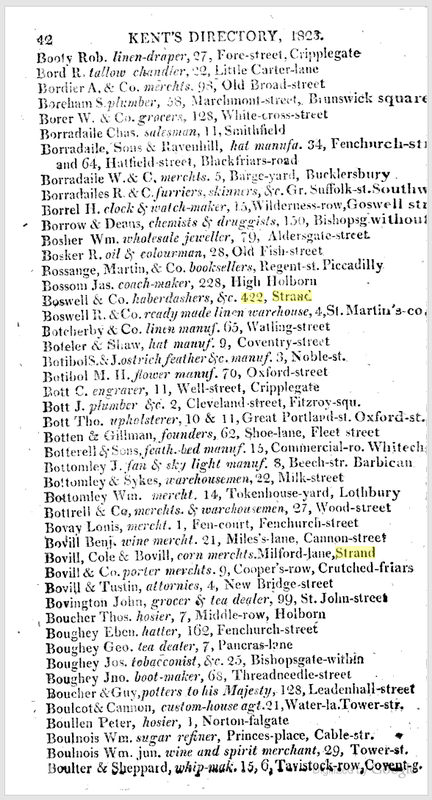 The bottle on the left is impressed “SCOTT, 417 STRAND.” John Scott was listed in the London Directory as “water Colourman to her Majesty” at this address from ca. 1790–1839. Lantern No. 2 has a nameplate attached: “Scott. No. 417 Strand London.” This is the plate of John Scott (1752-1838), the artist’s colourman and impresario whose business was established enough to allow him to build the Sans Pareil Theatre (later the Adelphi) in 1806  for his daughter, a singer. Scott’s shop sold hand-painted lantern slides, and as an established colourman, he was in close contact with painters with the necessary skills to work on glass., Numerous slides marked “Scott, Maker No. 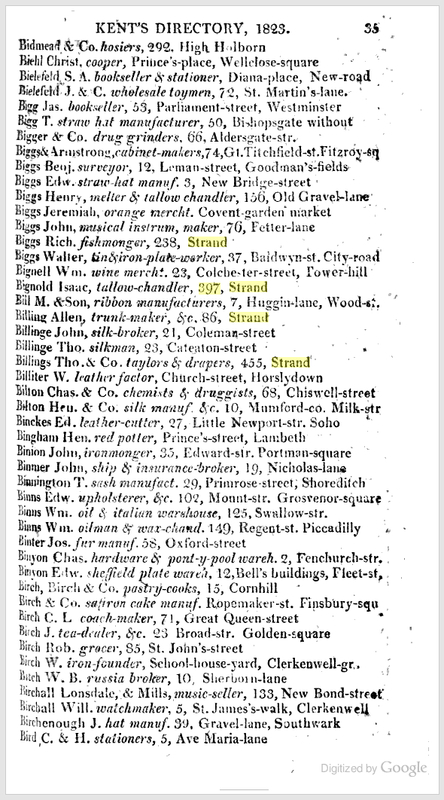 417 Strand, London” survive,mostly from around 1820. But there is no evidence that Scott was an instrument maker or optician. 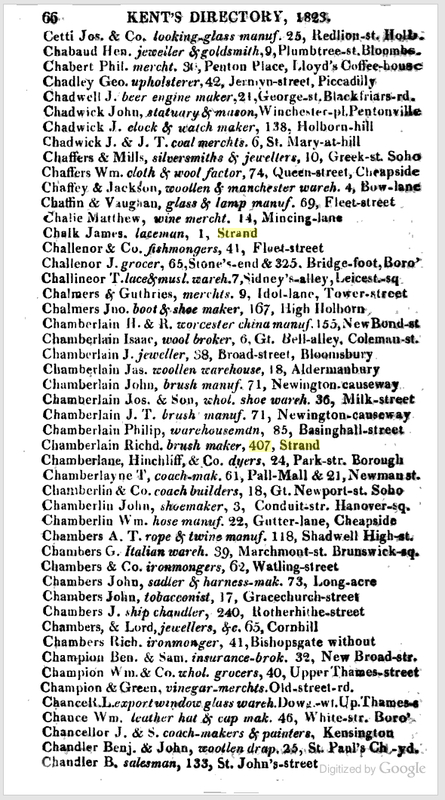 It is unlikely that he was actually making magic lanterns, and he does not appear in Gloria Clifton’s Directory of British Scientific Instrument Makers. The nameplate on No. 2 is  probably a retailer’s plate rather than a maker’s plate. 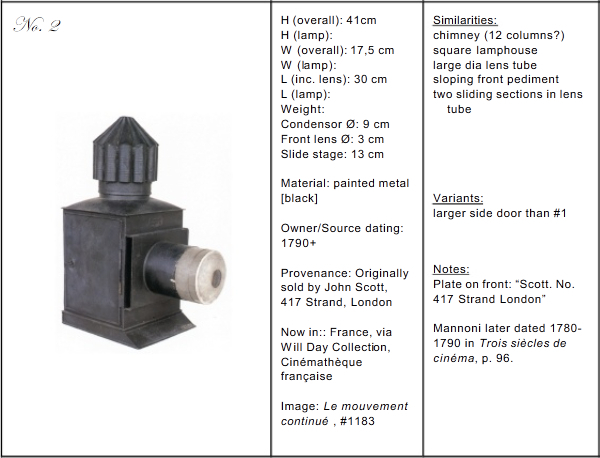 This suggestion is given added substance because Scott advertised, from 7 January 1791 until 12 May 1801, that he had“imported large quantities of lanterns from Germany; they are contained in neat boxes, each lantern with 12 slides . 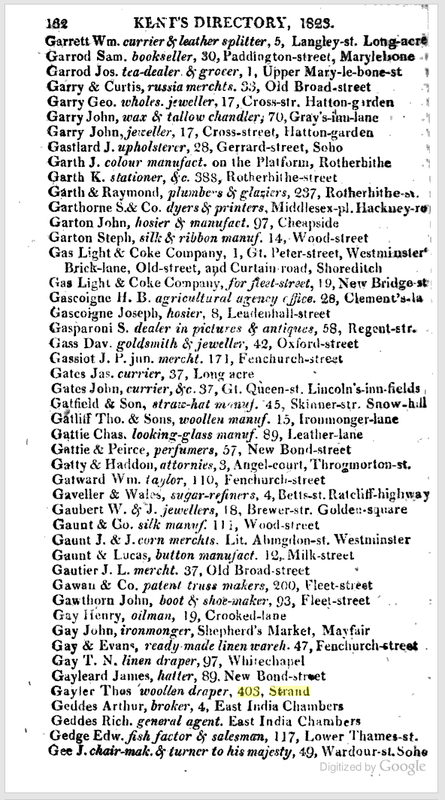 . . half a guinea to two guineas each also some larger at 12 guineas each.” These lanterns could well have been ordered from Nürnberg, and Scott’s  advertisements cover a good portion of the period to which my Nos. 1-8 are currently dated and in which No. 2 was probably originally sold. Simulated image of the block the Adelphi resided on 1814 through 1823. 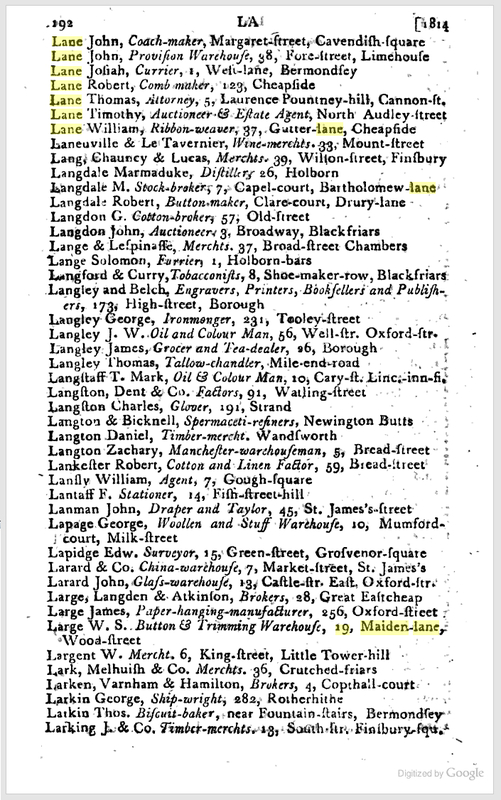 The assigned addresses to buildings and the published index of business did not line up very well around Lumley court, so accuracy in that area is in doubt. A selective directory, to be revised regularly, 1st edition 2006, 2nd edition 2008, 3rd edition October 2011 (*revised entry, **new entry). 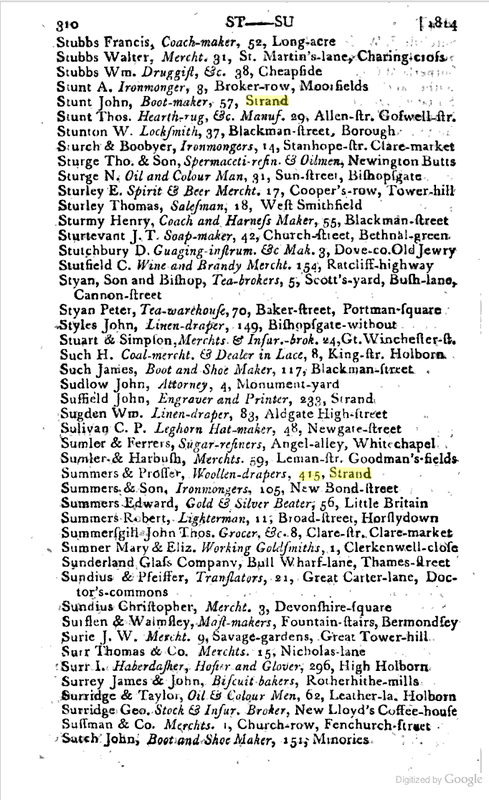 Contributions and corrections are welcome, to Jacob Simon at jsimon@npg.org.uk. *John Scott 1782-1816, George Scott 1814-1831, John Harrison Scott 1831-1841. 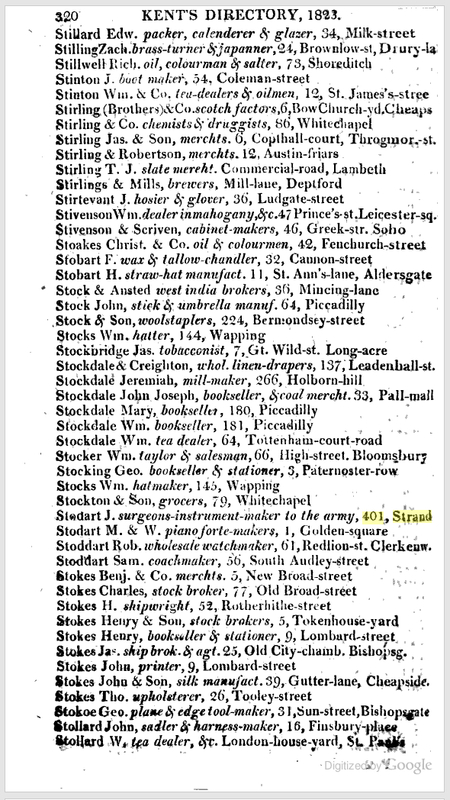 At 419 Strand, London 1782-1788, 417 Strand 1788-1839, 33 Craven St, Strand 1840-1841. Watercolour preparers. 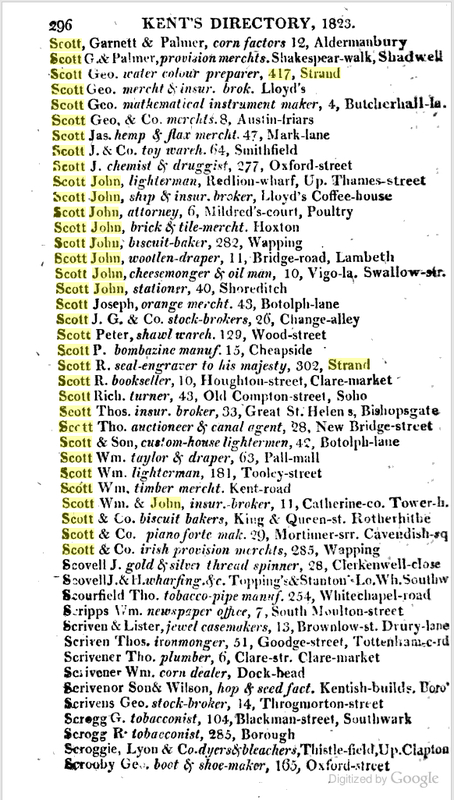 John Scott (c.1752-1838) sold materials for watercolours and drawings, advertising extensively from 1782 onwards (e.g., Morning Herald and Daily Advertiser 29 June 1782). 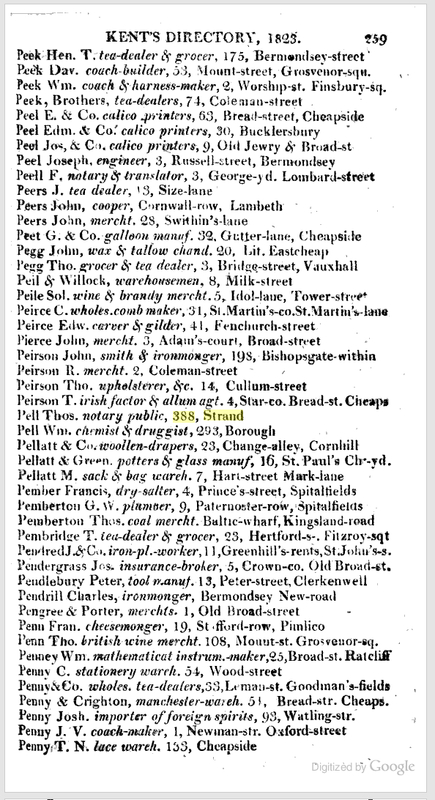 John Scott, water colourman, at 419 Strand, took out an insurance policy on 10 April 1787, covering his utensils and stock for £400 (Sun Insurance policy registers). 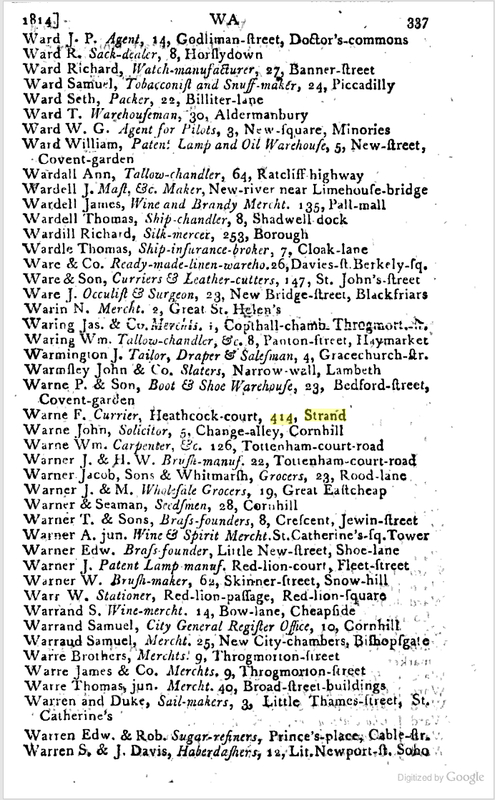 He announced his move to 417 Strand the following year (General Evening Post 1 August 1788). 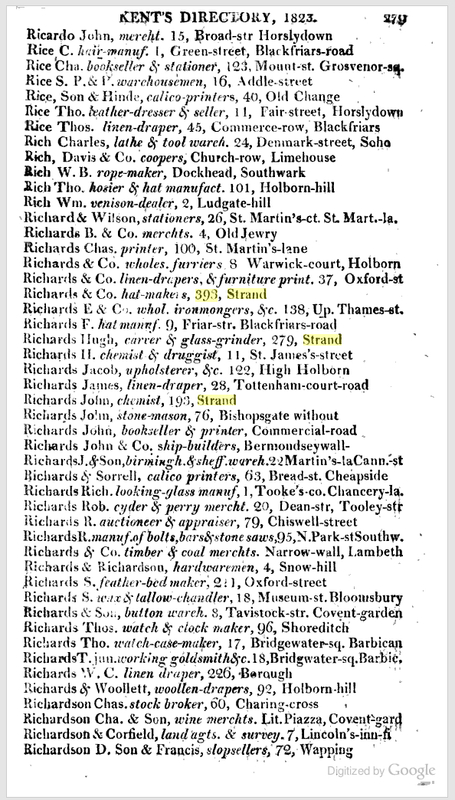 The freehold of these premises was sold in 1803, subject to a lease until 1813 at £60 a year (The Times 29 January 1803). 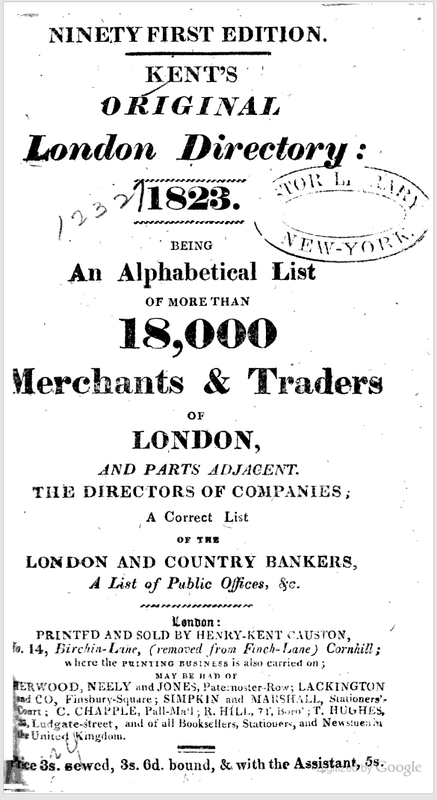 Scott sold his products widely in Britain and overseas. 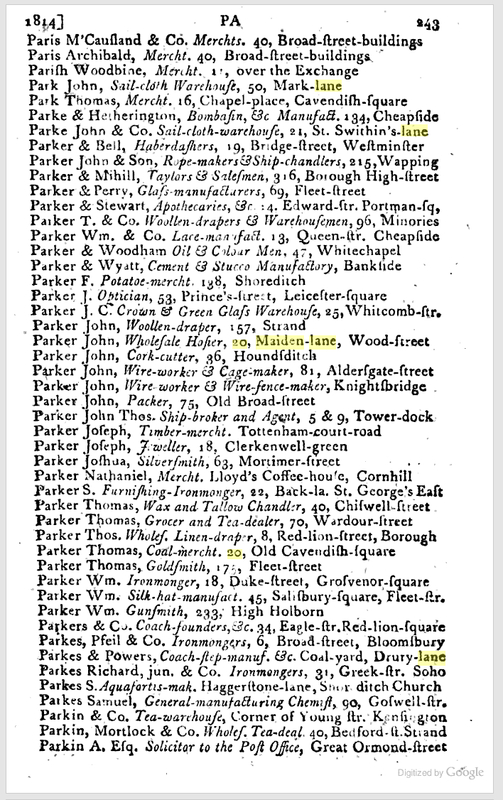 In 1783 he advertised that his watercolours were on sale in Paris as well as at many book and print sellers around England, also noting that he had just imported a large quantity of very fine French drawing chalk, shortly thereafter advertising that he had ‘fixed a correspondence abroad for a supply of most Foreign Articles used in Drawing; likewise Crayons in sets, ditto of Swiss Crayon Pencils, a curious article, being in wood after the manner of Black-lead, in sets of 50 and 70, of all different tints’ (General Evening Post 23 December 1783, 6 January 1784). 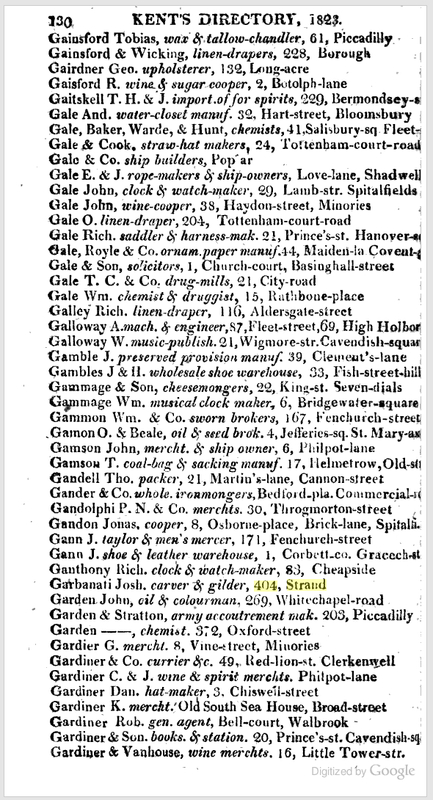 In the St James’s Chronicle 12 August 1788 Scott described himself as ‘Superfine Water-Colour Cake Preparer to her Majesty and the Royal Family’, selling ‘British & Swiss Crayons, & the true Italian Crayon Pencils, in sets of every Colour, of which Scott is the only importer’, his products being ‘sold by the first Booksellers and Druggists in every provincial Town in the Kingdom’ (Clarke 1981 p.14). 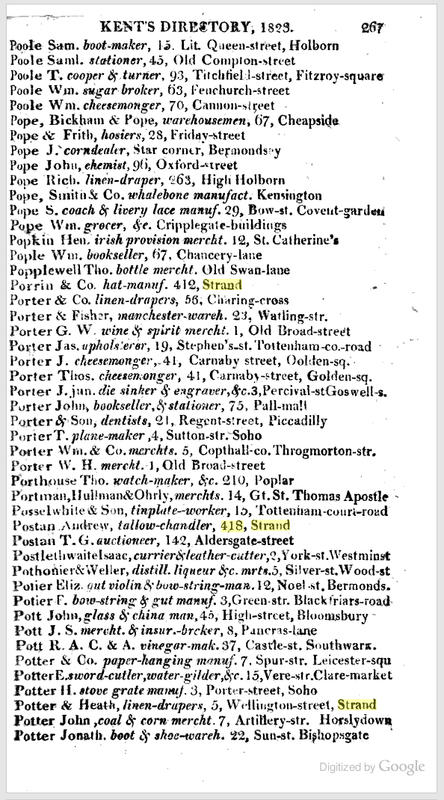 One such bookseller was J. Todd of Stonegate, York, who advertised Scott’s products in the York Courant 6 May 1783 (Clarke 1981 p.16). 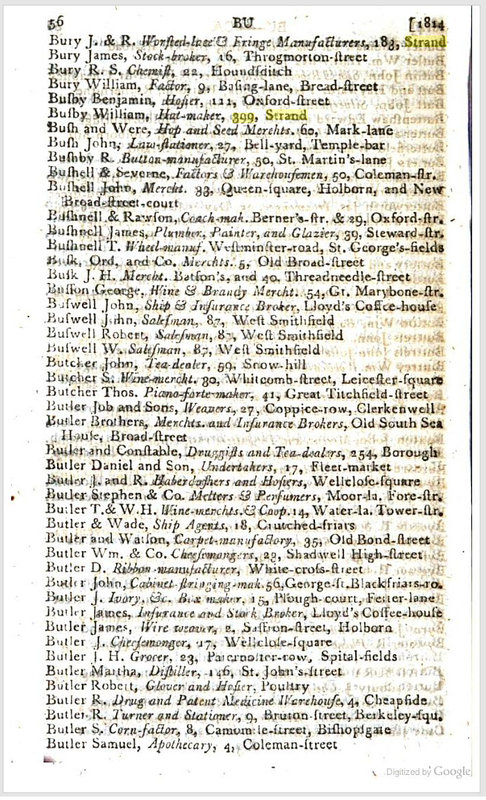 In most directories Scott was described as a watercolour preparer but he was also listed as ‘new invented water colour cakes and crayon manufacturer’ (Wakefield’s directory, 1790). 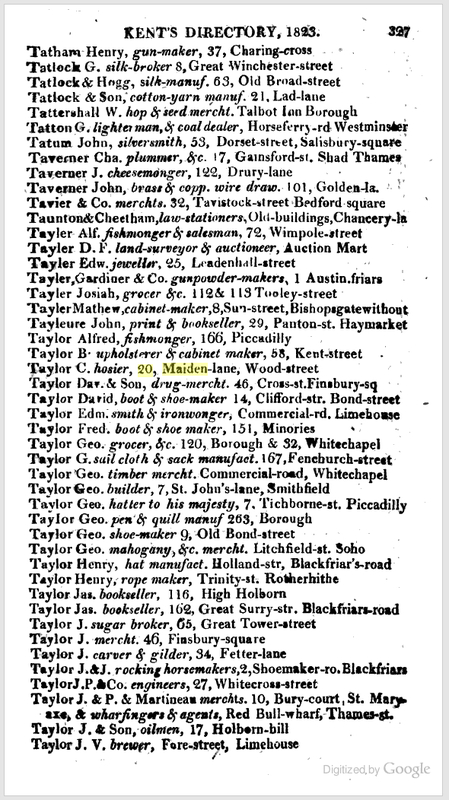 His colours were advertised in the United States (Poulson’s American Daily Advertiser, Philadelphia, 12 October 1804, see ‘American Historical Newspapers 1690-1876’, http:/infoweb.newsbank.com). 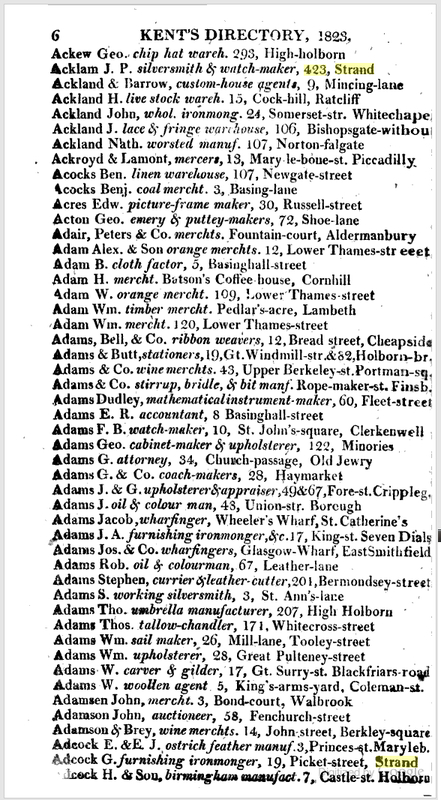 A lengthy advertisement in 1792 for his True Liquid Blue for Blueing Silk Stockings etc, names numerous retailers across the country and gives a good idea of his product range, including ‘Scott’s Superfine Prepared Water-Colours in Cakes, in neat Mahogany Boxes…, fine Indian Ink, Swiss Pastells, Crayons, Camel’s Hair and Black Lead Pencills, Italian Coloured Pencils, Drawing Paper, Chalks, &c; a fine new White that will stand, 1s. per ounce. 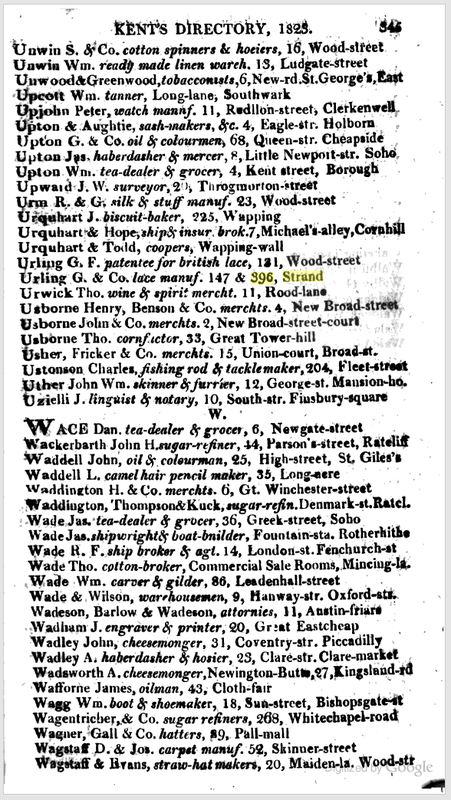 Ivory Pallets, Pallet knives, and all necessaries for Drawing and Colouring’ (The Star 16 May 1792). 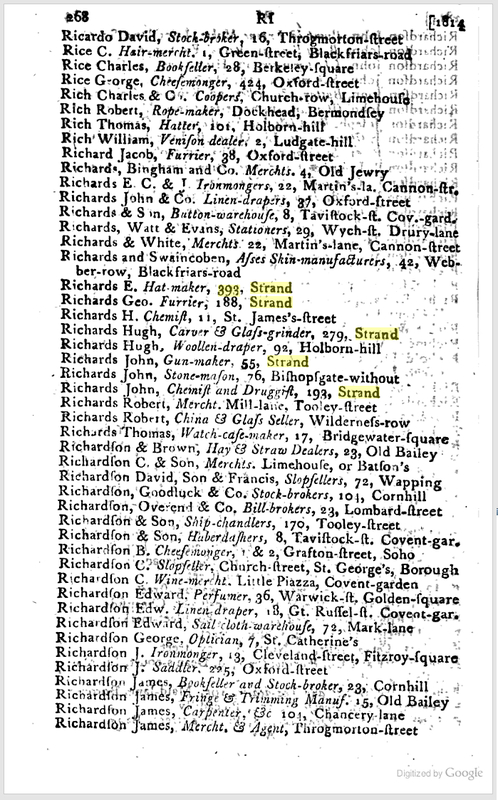 ‘Scott in the Strand’ is said to have supplied Gainsborough with a Cremona White, according to the recollections of the Rev. Kirby Trimmer (Walter Thornbury, The Life of J.M.W. 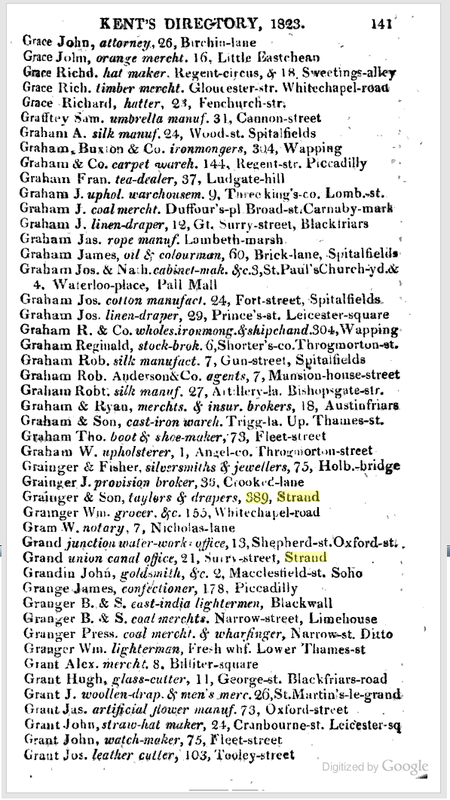 Turner, R.A., 1862, vol.2, p.64; Sloman 2002 p.70). 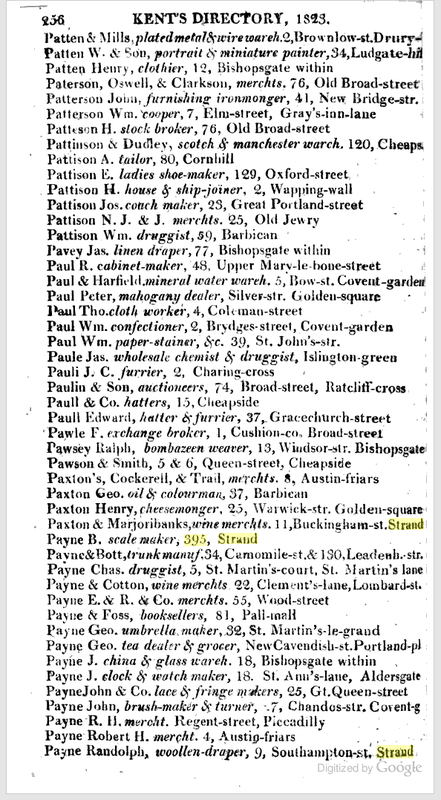 About 1804 Scott began to build a theatre for his daughter, Jane Margaret, in Bailey's Alley behind 411 Strand, which opened in 1806 as the Sans Pareil. 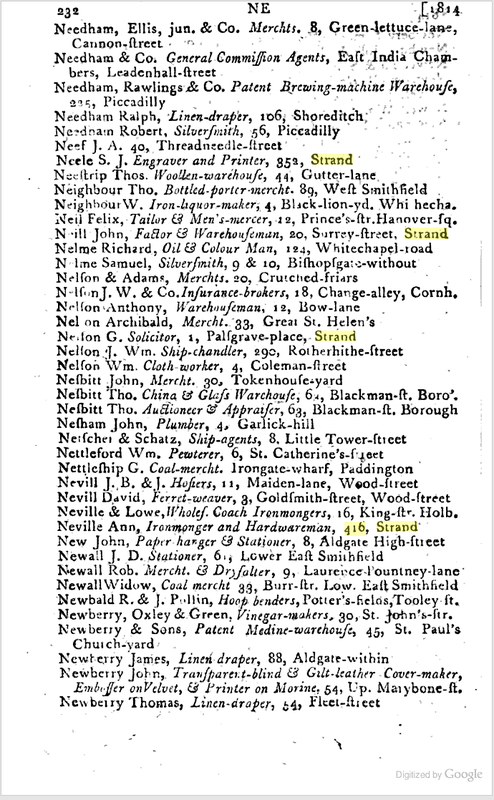 Under his daughter's management the theatre flourished sufficiently for him to buy the freehold in 1808 and to extend the theatre, which was said to hold over 1,800 persons. 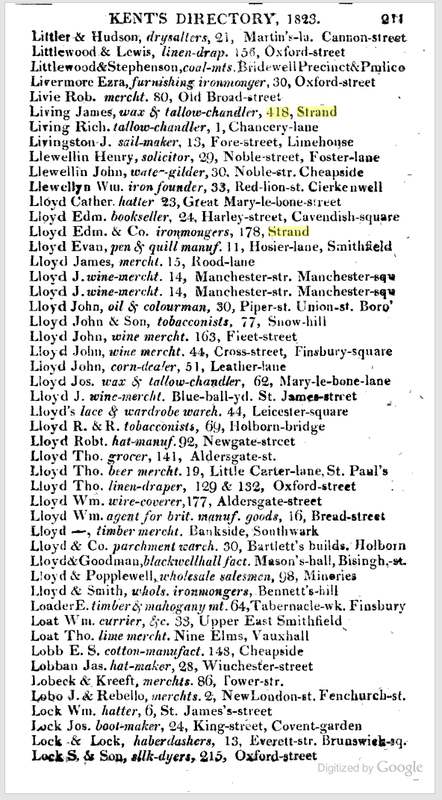 In 1819 Scott sold the theatre, which became the Adelphi (see Survey of London, vol.36, Covent Garden, 1970, pp.239-52, available online at www.british-history.ac.uk). 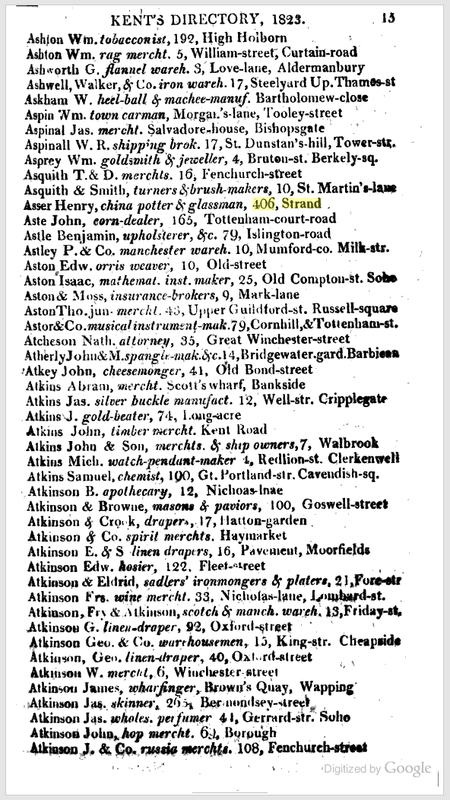 John Scott, formerly colourman of St Margaret’s Westminster, died in 1838 and was buried on 26 November, age 86, at Walton-on-Thames as of Parliament St, St Margaret’s. 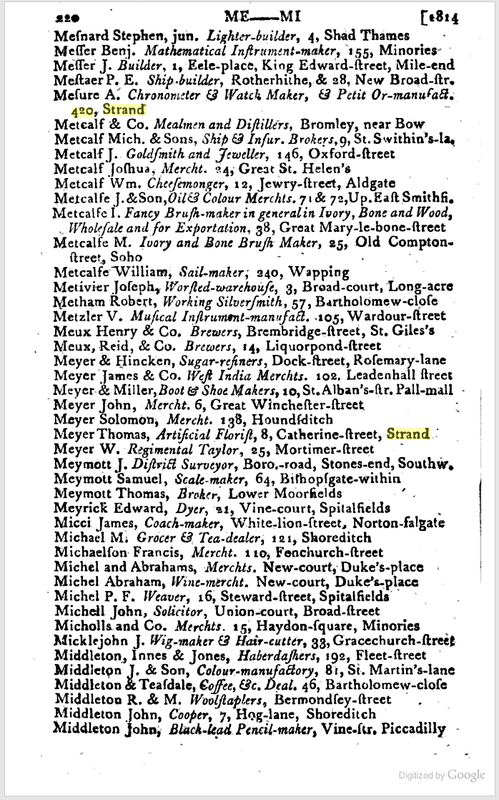 In his lengthy will, made 16 November 1829 and proved 10 December 1838, John Harrison Scott was named as his son, while another son, George Scott, was described as deceased. The business continued in the family over more than one generation. 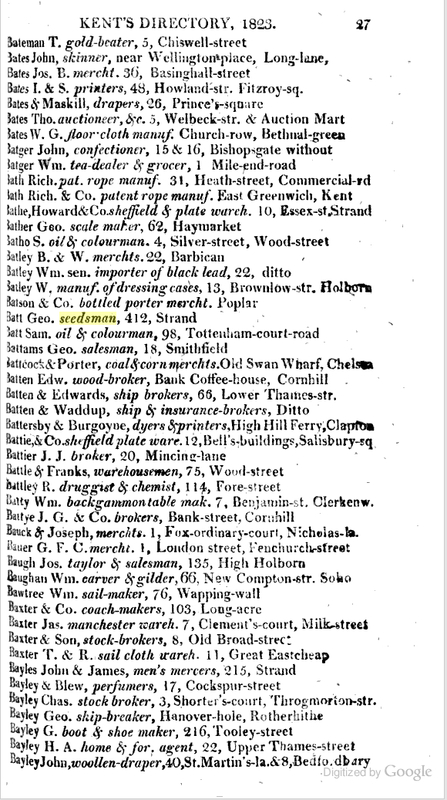 George Scott took over from his father at the close of the year 1813, according to his subsequent advertisement (The Times 31 August 1821). 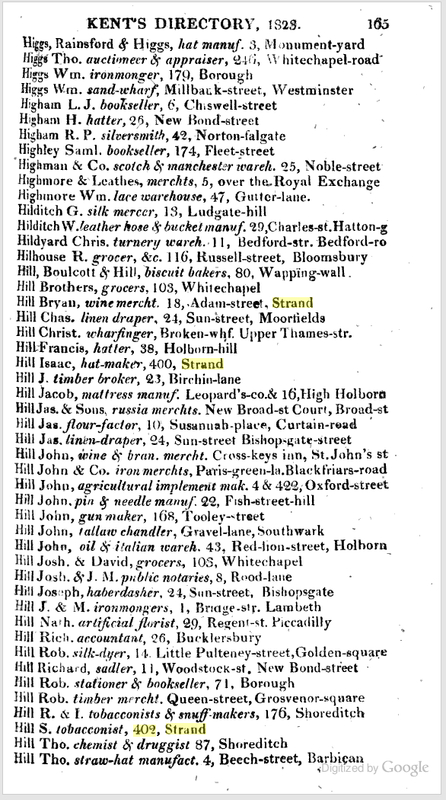 In turn, he was followed by his brother, John Harrison Scott (c.1783-1854), who announced his retirement in 1839, stating that Barclay & Son of Farringdon St had been appointed his wholesale agents (The Times 21 January 1831, 9 April 1839). 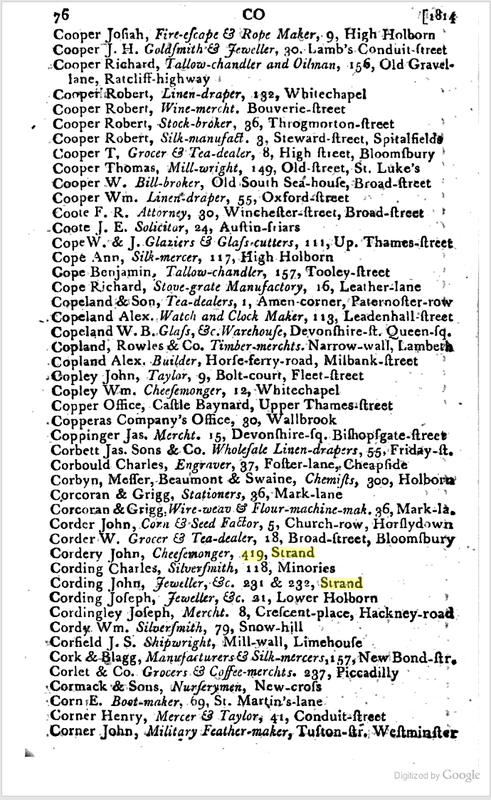 In the early 1830s the business was listed as a liquid dye manufacturer and in 1836 as artists' colourman and dye manufacturer. 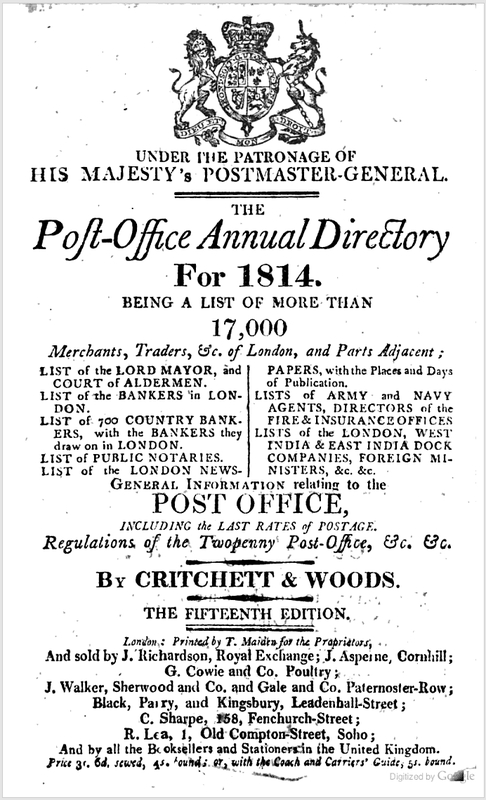 The 1841 Post Office directory contained two listings at the same address: John Scott, colourman, and John Harrison Scott Esq. 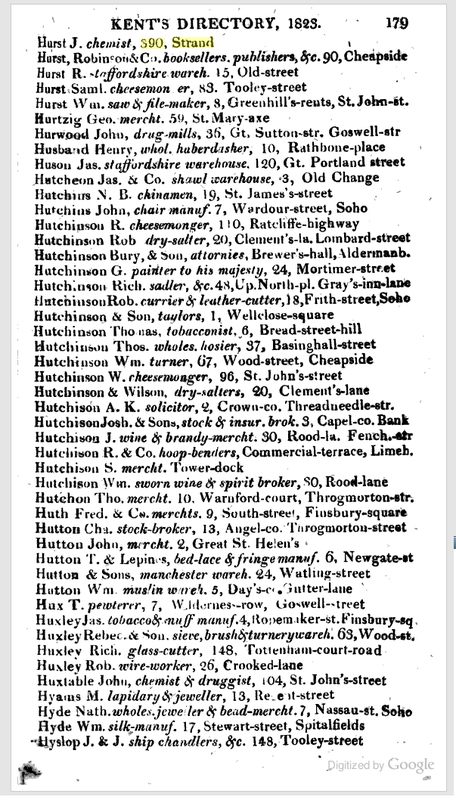 John Harrison Scott was christened at St Martin-in-the-Fields in 1783, the son of John Scott and Elizabeth, and died at 18 Camden Square, reportedly at the age of 68, in 1854 (Morning Chronicle 16 November 1854).